Dieser Beitrag wurde unter news abgelegt und mit lkd, lillykunkeldesign, palmleafluxury, palmleaflove, handcrafted, moroccanbaskets, mylkdbasket, lillyintouch, summerbag, basketbag, sequinembroidered, repost, ootd, regram, stylingideas, basket, lieblingsstil, blingblinggold, cologne, lifeisgood, humpday, carrie, happyhumpday, blingbag, hittingthecityinstyle, nyc, flowerskirt, satc, pencilskirt, blacktop verschlagwortet am 27/06/2018 von lilly. This is our @lieblingsstil of the week…. 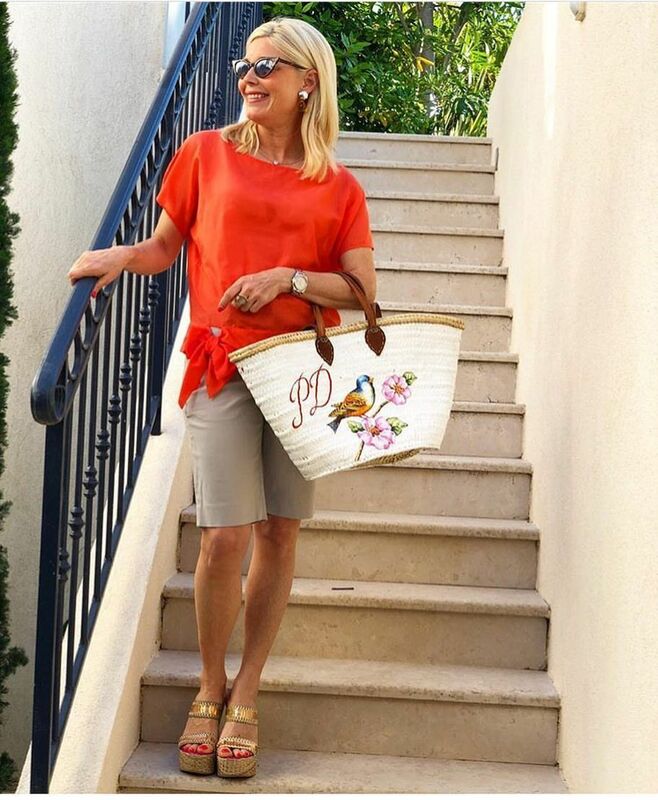 Bermudas combined with a bright orange top, golden details and our handpainted Spring Bird basket. The perfect outfit to shine in St. Tropez… or wherever you‘re traveling next. Have a lovely week and enjoy summer! Dieser Beitrag wurde unter news, tumblr abgelegt und mit lkd, lillykunkeldesign, palmleafluxury, palmleaflove, handcrafted, moroccanbaskets, mylkdbasket, lillyintouch, travelinstyle, lkdontour, summerlook, repost, ootd, regram, bloggerstyle, fashionspiration, fashionblogger, orange, handpainted, lieblingsstil, gold, cotedazur, sttropez, southfrance, springbird, lkdinsttropez, howtodressinsttropez, dresstoimpress, frenchriviera, taupe verschlagwortet am 05/06/2018 von lilly. Dieser Beitrag wurde unter news, tumblr abgelegt und mit lkd, lillykunkeldesign, palmleafluxury, palmleaflove, moroccanbaskets, lillyintouch, travelapparel, repost, regram, stylinginspiration, fashionspiration, favouritesummerbag, travelblogger, lifestyleblogger, fashionblogger, basketlove, handpainted, lieblingsstil, fashionblog, personalized, petradieners, cotedazur, sttropez, lieblingstasche, southfrance, springbird, travelinspiration, specialedition verschlagwortet am 28/08/2017 von lilly.